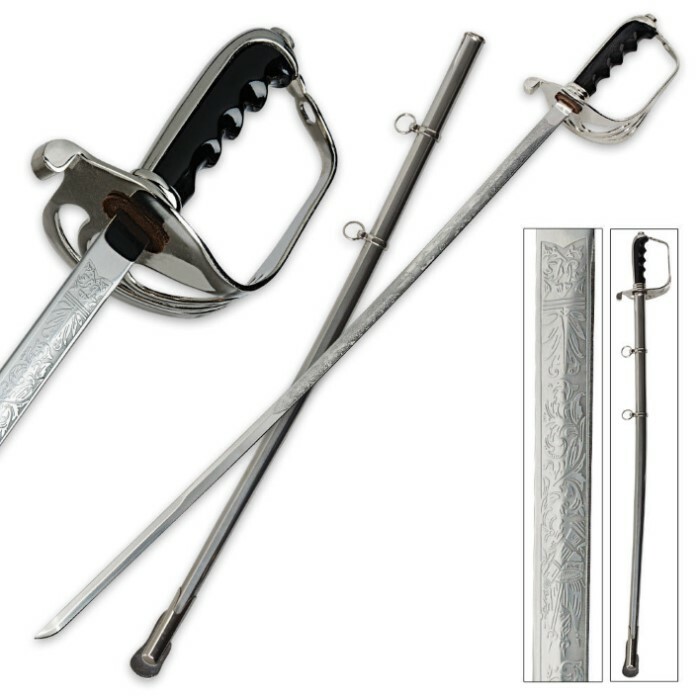 U.S. Army M1902 Infantry Officer Saber | BUDK.com - Knives & Swords At The Lowest Prices! Inspired by history, this U.S. Army M1902 Infantry Officer Saber is intricately detailed and definitely collectible. 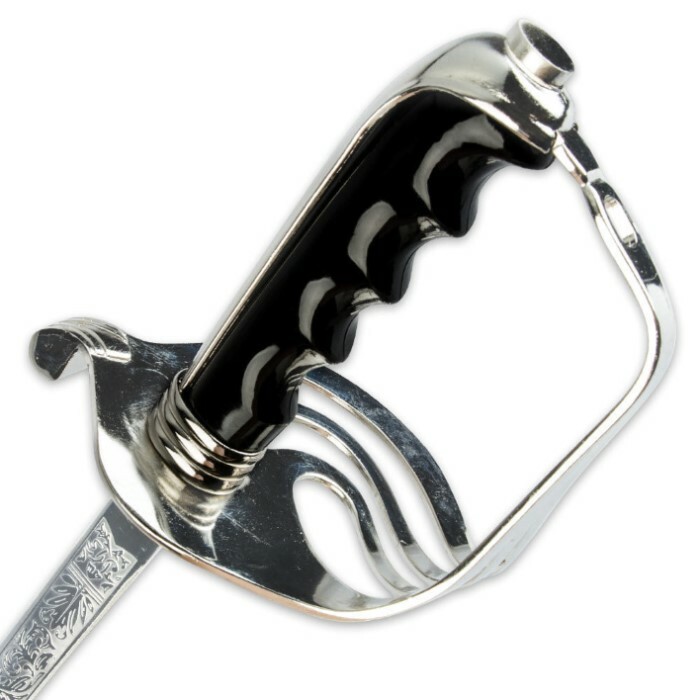 The 29 1/2" stainless steel blade is beautifully laser etched to give it an antique look and feel. The grooved handle features an over-sized metal hand guard with decorative accents. 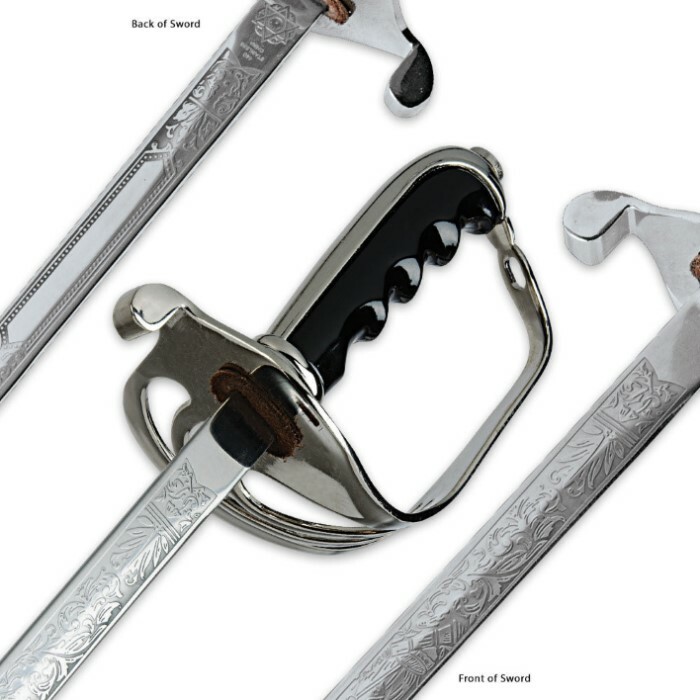 A matching metal scabbard houses the blade in traditional style and a dust cover comes with this saber for storage. It is 35" overall length.